ULTRAGEL II® - a quality couplant which is specified in the many exacting inspection standards. 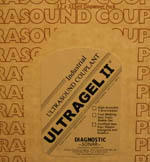 ULTRAGEL II Ultrasonic Couplant ULTRAGEL II® - a quality couplant which is specified in the many exacting inspection standards. Ultrasonic Couplant or any suitable liquid medium is required for use with Ultrasonic Thickness Gauges and Ultrasonic Flaw Detectors. The liquid couplant is to allow the transfer of ultrasound from the probe to the material under test. 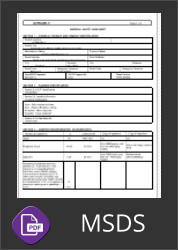 Please click the link below to download the Material Safety Data Sheet (MSDS) for this couplant.